Why Choose pull up bars? There are many reasons that individuals choose to use pull up bars. One of the most prominent reasons is because of the cost and the convenience. Users of chin up bars do not have to invest thousands of dollars in gym memberships or spend money on expensive equipment. 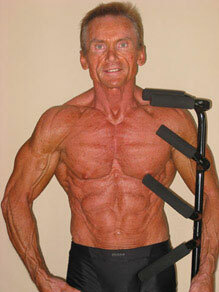 Users of chip up bars also do not have to spend hours upon hours building the body of their dreams. 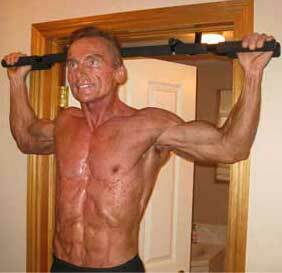 With a chin up bar, users simply have to devote a small amount of time each day to doing pull ups. Results from this small amount of time invested are huge. 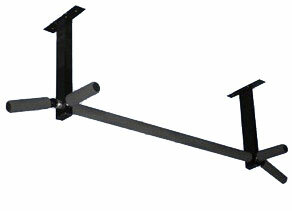 Easyeffort carries a wide variety of pullup bar, door pull up bar, and chin up bar. To learn more, contact us! The UD-6 was initially designed in 2006. This bar has seen countless improvements, many from customer feedback, to give you the best doorway pull up bar for your money. $69.95 plus $14.95 S&H We cannot accept International & Canadian orders at this time. The world's only pull up bar that is put together with no tools and assembles in seconds. This bar is usually produced in limited quantities. 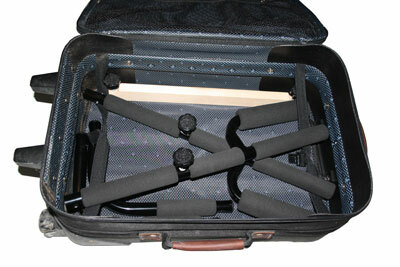 Pictured above the Hybrid bar is shown easily fitting in a standard suitcase. The unique Valco buttons and Quick Release Knobs make taking apart the Hybrid chin up bar a snap. $89.95 plus $14.95 S&H We cannot accept International & Canadian orders at this time. All our ceiling mount chin up bars have a full center bar of foam covered grips. These bars are value priced and will last a lifetime. Pictured above is the Ultimate Ceiling Mount. Great for 8 foot ceilings, but if you have other needs we have a wide selection of different ceiling mount bars. $59.95 $119.95 plus $14.95 S&H SALE! We cannot accept International & Canadian orders at this time. We also have various accessories for sale as well as a unique take on doing push ups at home. Customers consistently rave over this stable and comfortable solution to doing various grip push ups at home. Designed with three pairs of comfortable foam handles, so your hands never have to touch the dirty floor again! This push up bar is mig welded for maximum strength and durability. $79.95 plus $14.95 S&H We cannot accept International & Canadian orders at this time. 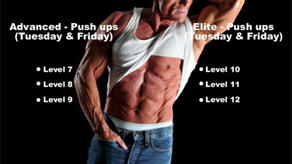 EJ Reeves developed a unique 12 level body weight training program. On 4 separate disks. $39.95 plus $14.95 S&H We cannot accept International & Canadian orders at this time. These helper bands work with all our chin up and pull up bars. They work by decreasing your effective weight by 40 to 50 lbs. Accessories are shipped out once a month. $29.95 plus $14.95 S&H We cannot accept International & Canadian orders at this time. EJ Reeves is committed to sharing a fitness lifestyle through body weight training. With that in mind he created a 4 disk DVD set called 12BX. 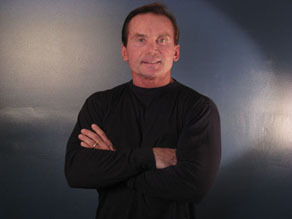 Follow EJ on his blog or e-mail him your fitness related questions.